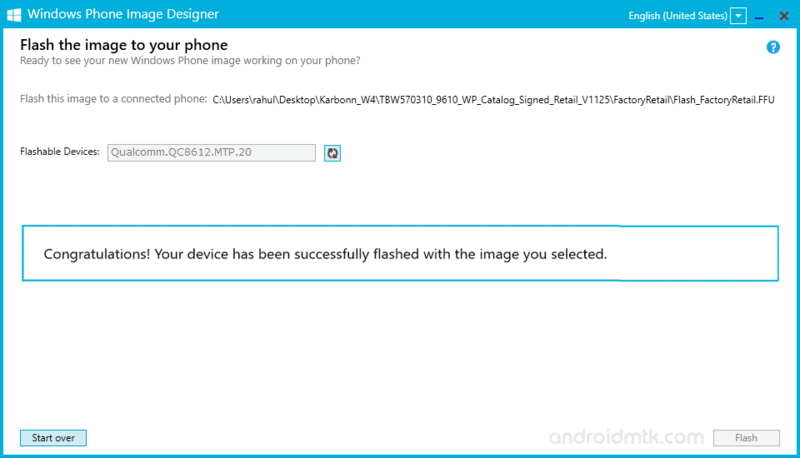 These are the instructions to flash stock firmware on any Windows Phone using the Windows Phone Image Designer Tool. 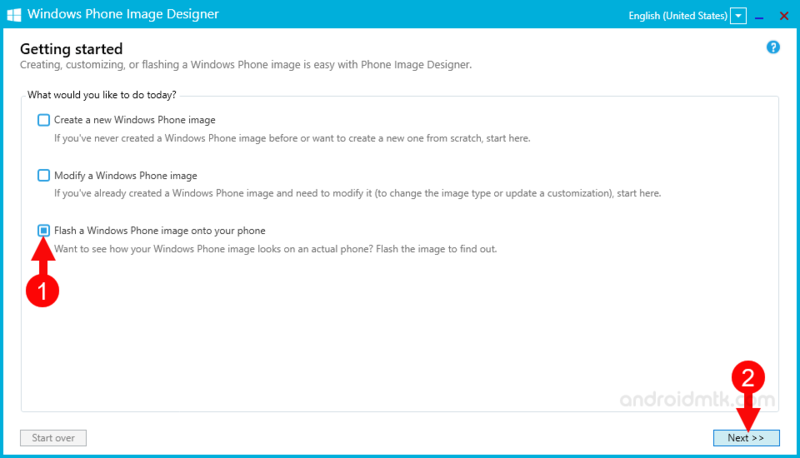 Requirements: This tool is designed to work on Windows 8 and Windows 10 Phone Only. If you are Android Device Holder then this tool is not meant for you. Step 2. 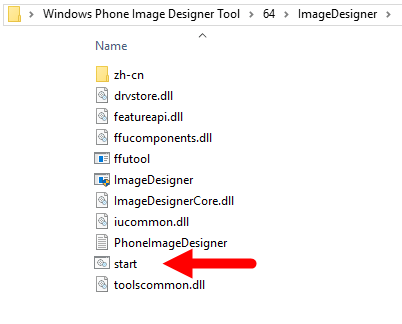 From the Driver Folder run installsimpleio.bat file to install the Windows Phone Driver. Step 3. Now, Connect your Windows Phone to the Computer. Step 4. 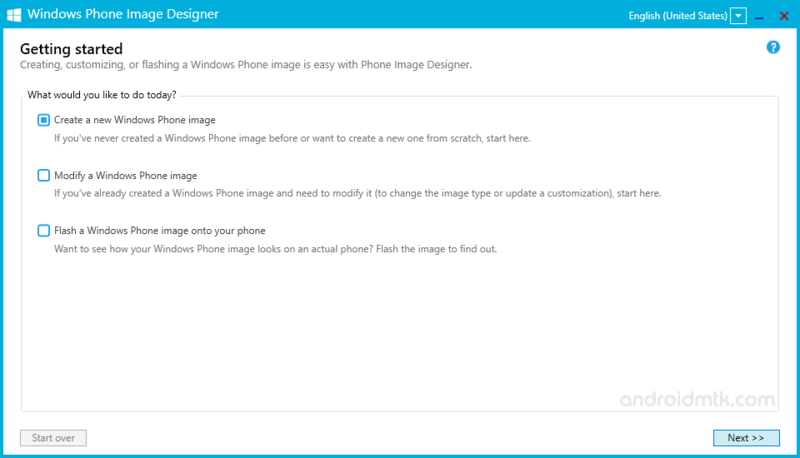 Now, Open the Windows Phone Image Designer Tool (if you have 32 Bit Computer then Open Phone Image Designer Tool > 32 > ImageDesigner > start.bat file OR if you have 64 Bit Computer then Open Windows Phone Image Designer Tool > 64 > ImageDesigner > start.bat). Step 6. 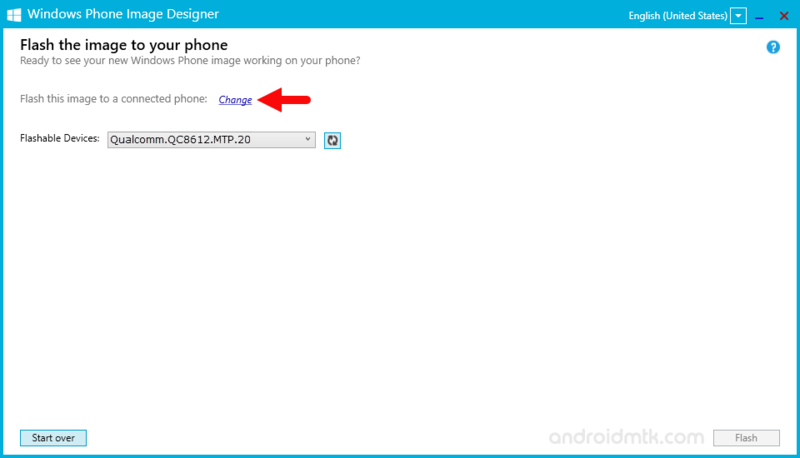 Now, Select Flash a Windows Phone image onto your phone Option and Click on Next Button. Step 7. Now, Click on Change Option. Step 8. 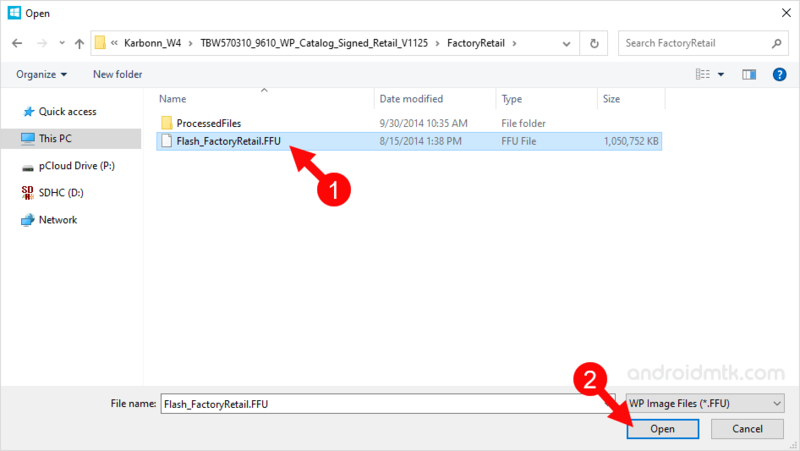 Now, Locate the Stock Firmware that you want to flash on your Windows Phone (.ffu file). Step 9. Once you have successfully added the stock firmware on Phone Image Designer Tool then you are ready to flash it on your Device. Now, Click on Flash Button to Proceed. Step 10. 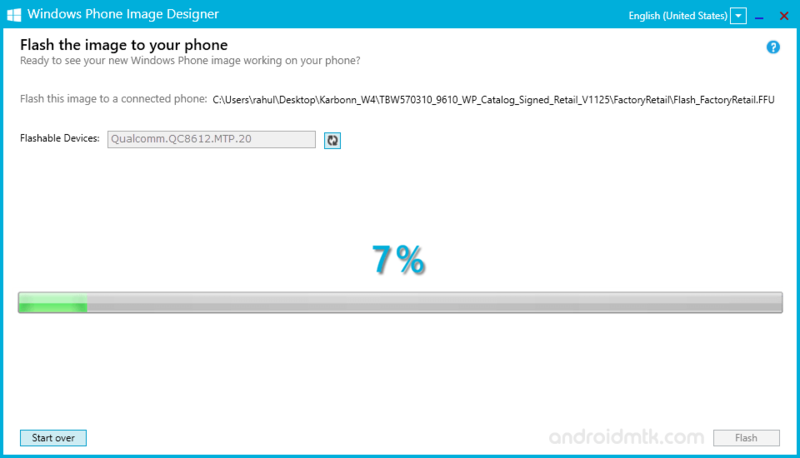 Now, Phone Image Designer Tool will start the flashing process and let may take upto 5-10 minutes to complete. Step 11. Once Flashing Process is completed you will be able to see the Congratulations! Your Device has been successfully flashed with the image you selected Message. Step 12. Now, Disconnect your Device from the Computer and Reboot it. After Rebooting the device you are ready to use it normally. 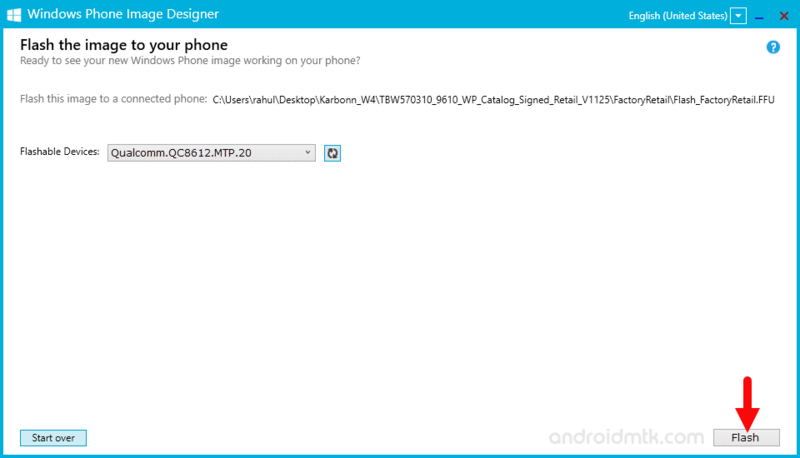 [*] The Above Tool was tested working while flashing the stock firmware on Karbonn Wind 4 Smartphone. [*] Works for all Windows Phone: The above tool allows you to flash stock firmware on all Windows Phone including Windows Lumia, Nokia Lumia and others. [*] Download Windows Phone Driver: If you wish you can Download Windows Phone USB Driver Separately from this link. [*] Credits: Windows Phone Image Designer Application is created and distributed by Microsoft Inc. So, full credits goes to them for sharing the tool for free.